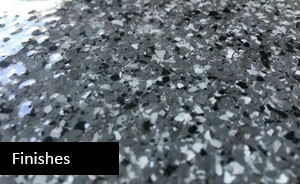 Improve the look and finish of your concrete floor with a Polyaspartic Floor Coating by Diamond Rock Concrete. Get all the advantages of epoxy and urethane floor coatings through the application of technologically advanced Polyaspartic resin. Why Choose a Polyaspartic Floor Coating? Polyaspartic resin is similar to polyurethane and epoxy. It is an industrial hybrid coating that is highly durable and high-performance. 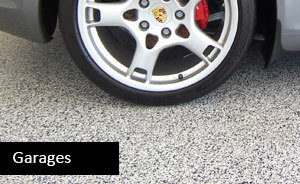 It is also scratch and chemical resistant, anti-slip, and has superior adhesion to concrete. Unlike epoxy and polyurethane coating systems, we can install a polyaspartic floor coating in just hours, not days. Polyaspartic floor coatings, in addition to their durability and resistance to various chemicals, has advantages that make it the better choice for refinishing your concrete floors. 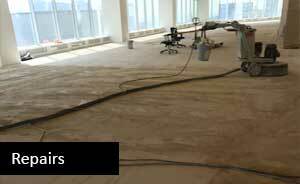 At Diamond Rock, we use a dust free industrial grinder to prepare your concrete floor. The grinding head consists of diamond blades that lightly cut your floor’s surface preparing it for maximum adhesion. During the process, old stains and coatings are removed before the polyaspartic resin is applied. The result is a polyaspartic floor coating that is durable, waterproof, and chemically resistant. For a FREE, no obligation quote on having epoxy floor coatings applied to your concrete floor, call us or send us a quick email. Includes London, Brantford, Kitchener, Cambridge, Waterloo, Guelph, Hamilton, Oakville, St. Catharines, Niagara Falls, Stratford, and all the small municipalities in between.